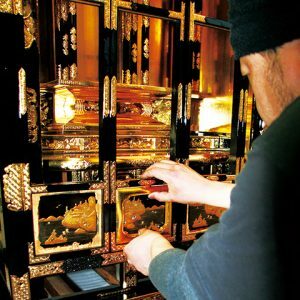 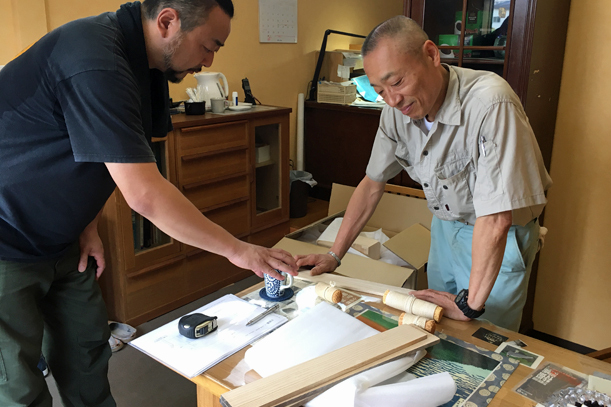 The new challenge called ‘NIIGATA TAMATEBAKO‘ by Niigata Butsudan artisans has started since September 2017. We have been following them from the start to the end of the exhibitions. 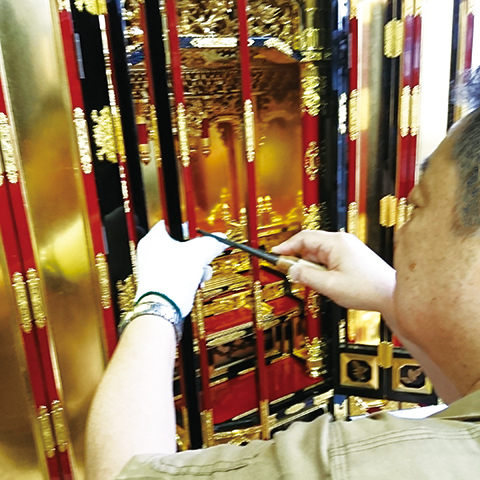 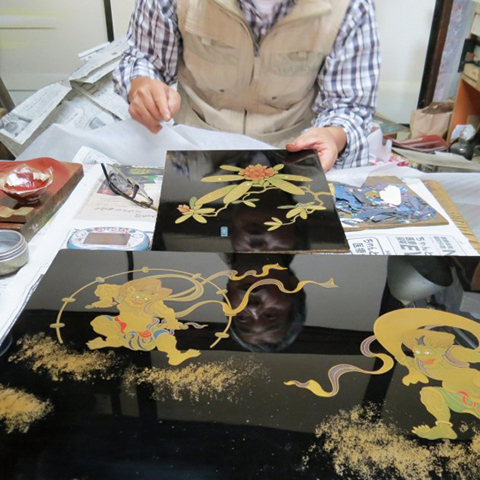 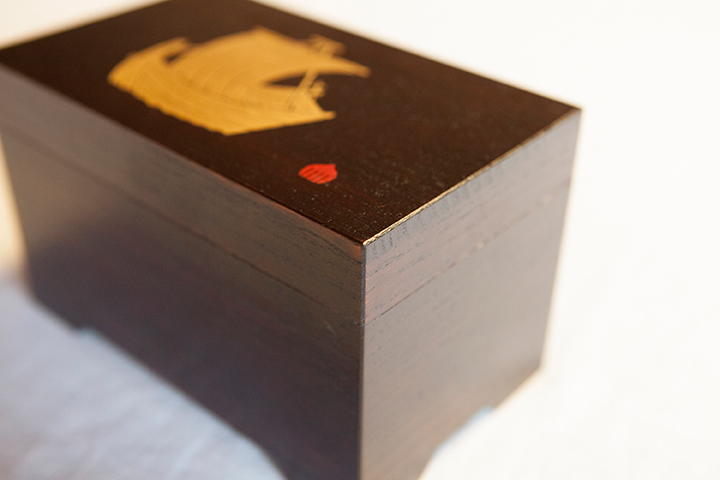 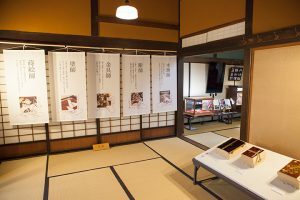 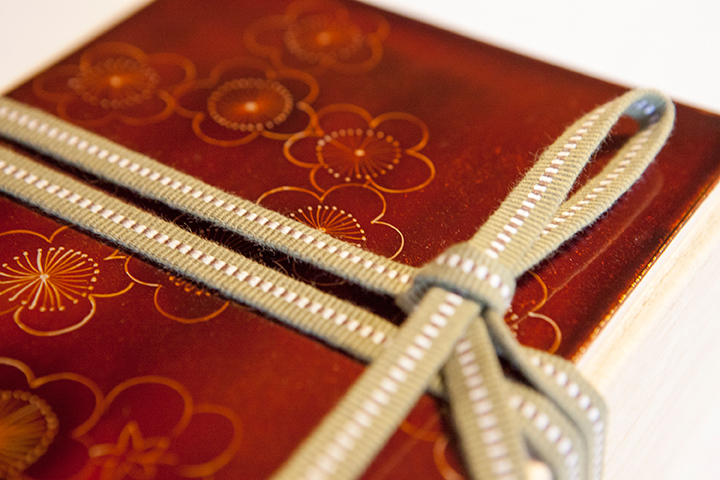 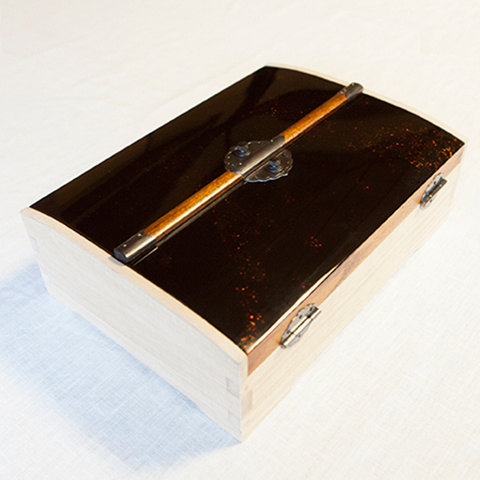 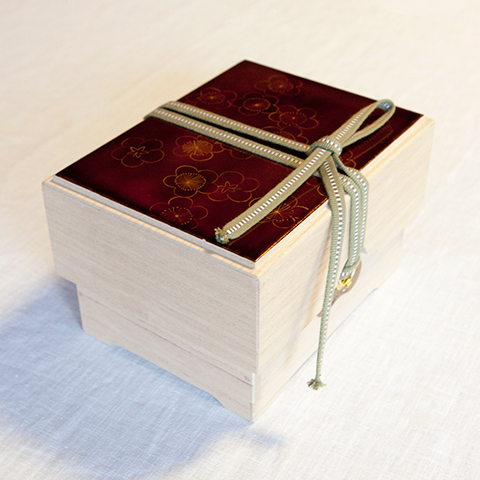 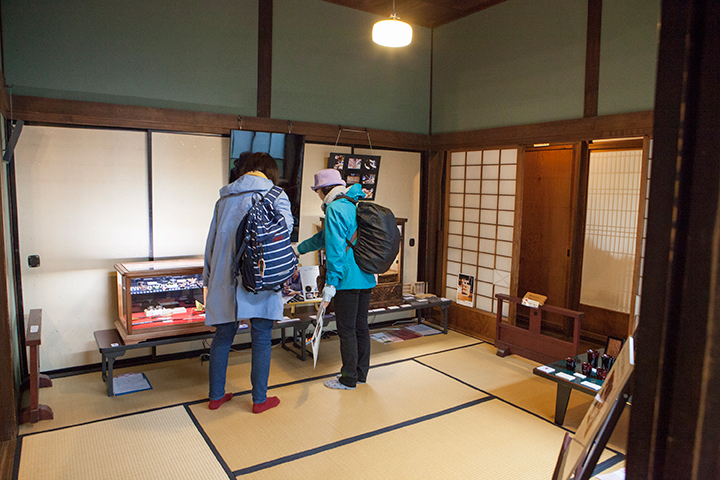 Three skilled Urushi Painters led the project. 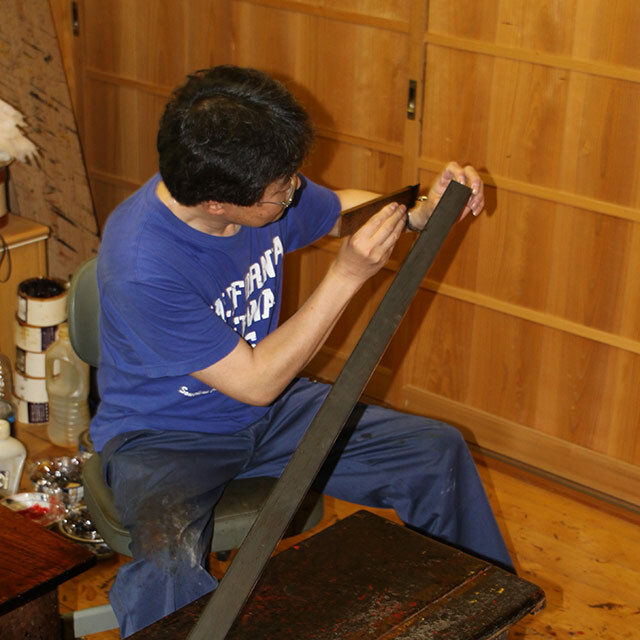 Usually they oversaw the entire process of Butsudan creation. 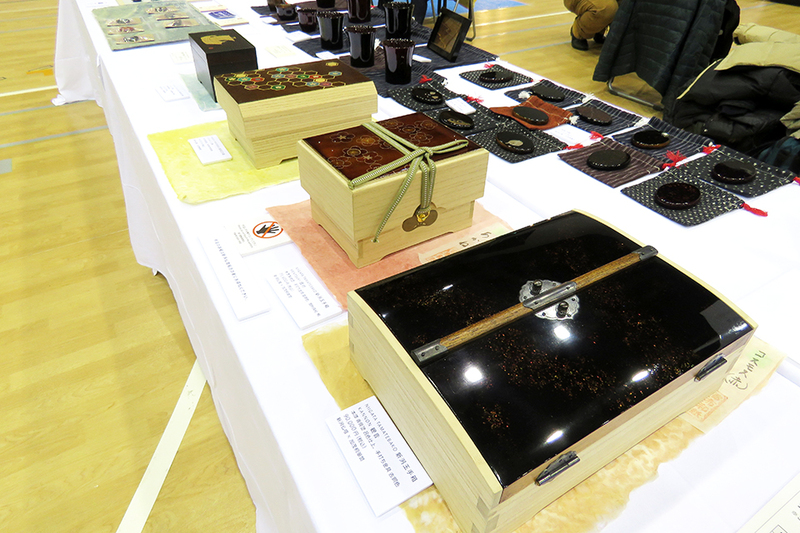 Several traditional craftsmen from Niigata Butsudan and Kamokiritansu moved ahead with making Tamatebako at speed. 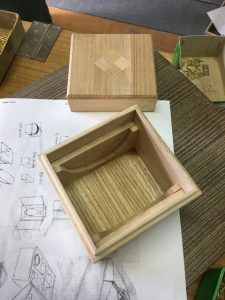 The first prototype was a failure unfortunately. 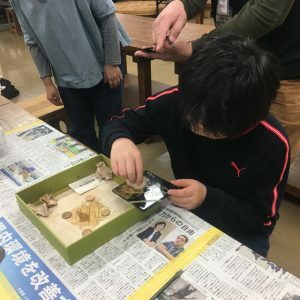 Even more determined, they made another one having learnt from their mistake. 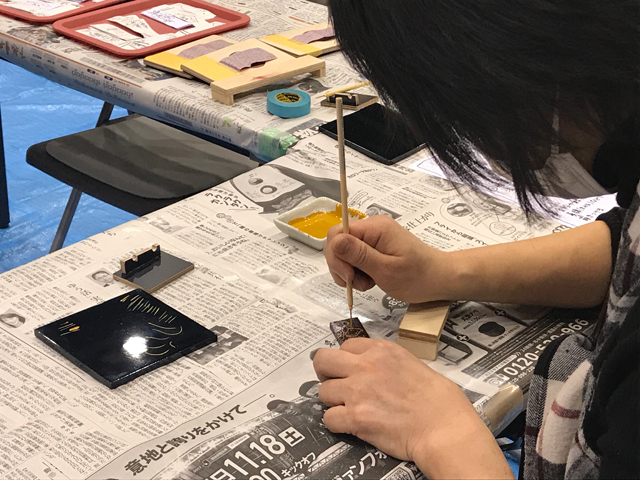 The experienced makie painter have never painted anything other than traditional makie patterns, but on this occasion, he tried his hand at a new modern design and enjoyed it. 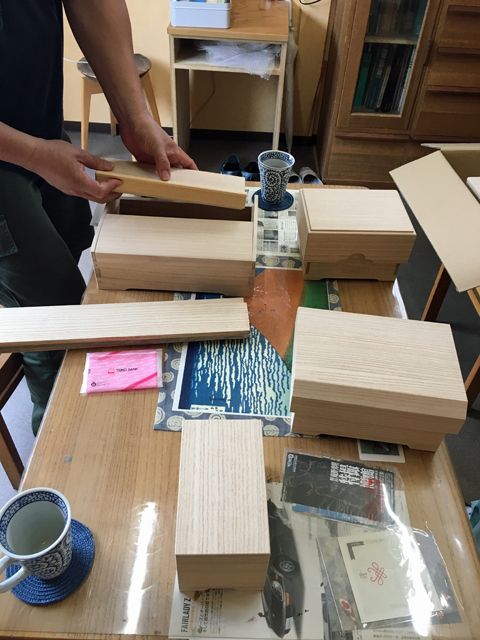 He was very pleased to put his skill to good use for the new design successfully. 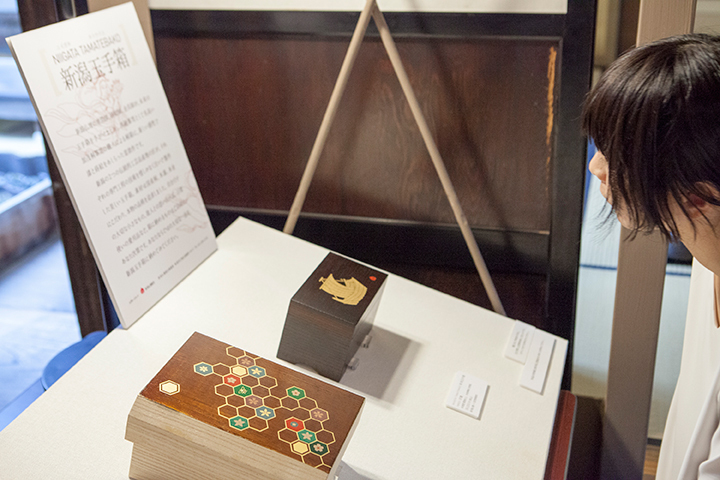 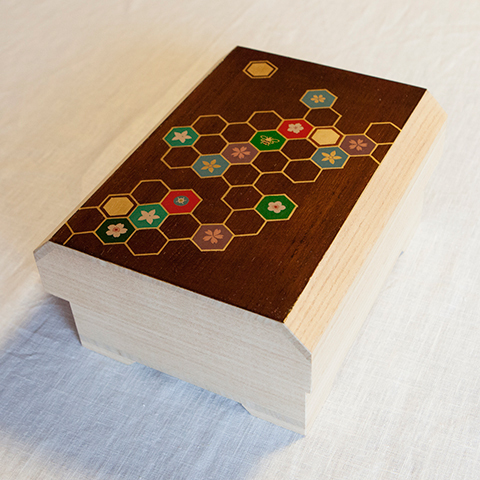 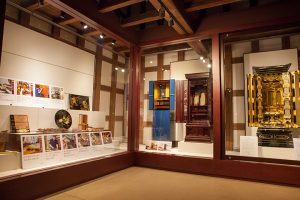 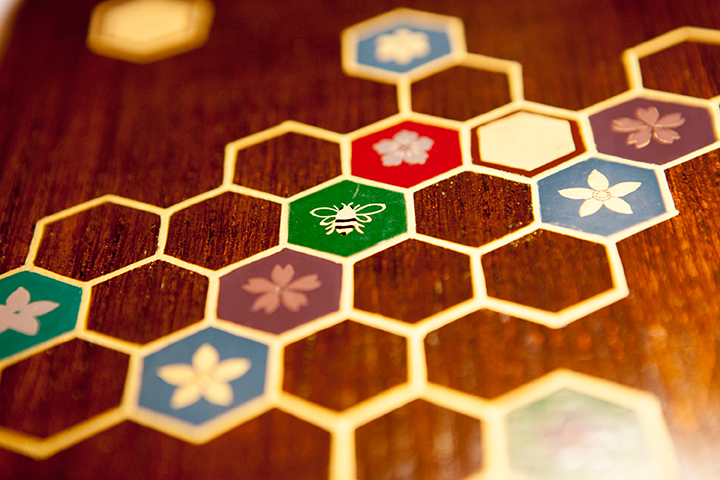 The four different types of boxes were on display at two exhibitions in Autumn 2017. 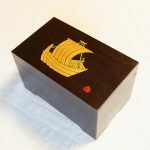 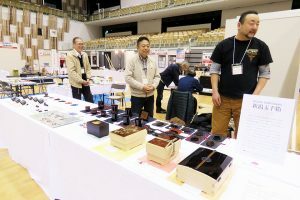 When the gorgeous boxes were unveiled, many visitors including some tourists attended the exhibitions and they were amazed and impressed with the creations. 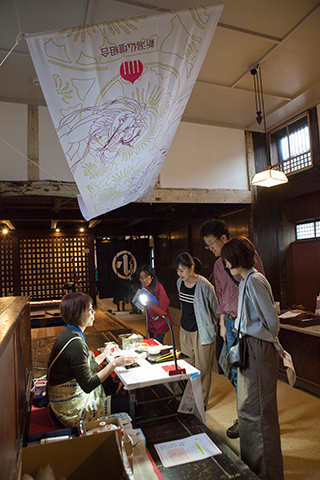 Additionally, they held numerous events to show how to make traditional Butsudan on the site. The workshop with 12 participants was held as a similar event in the museum. 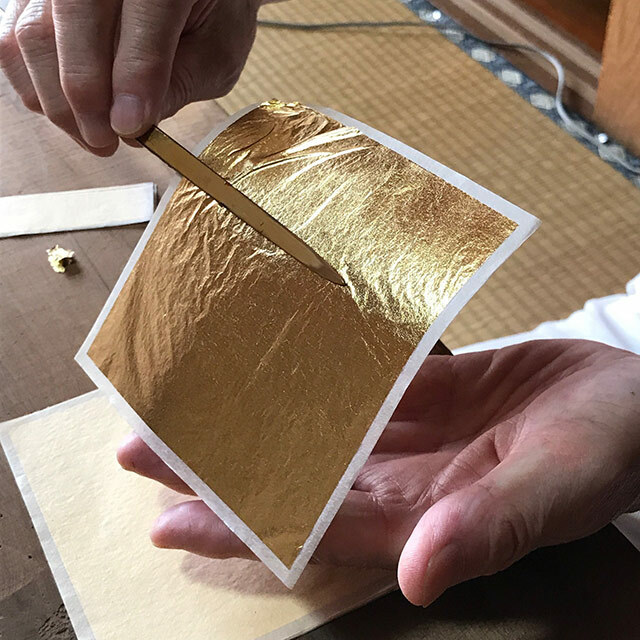 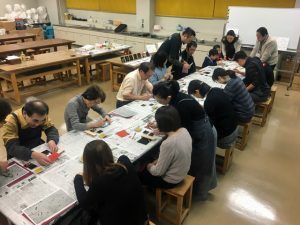 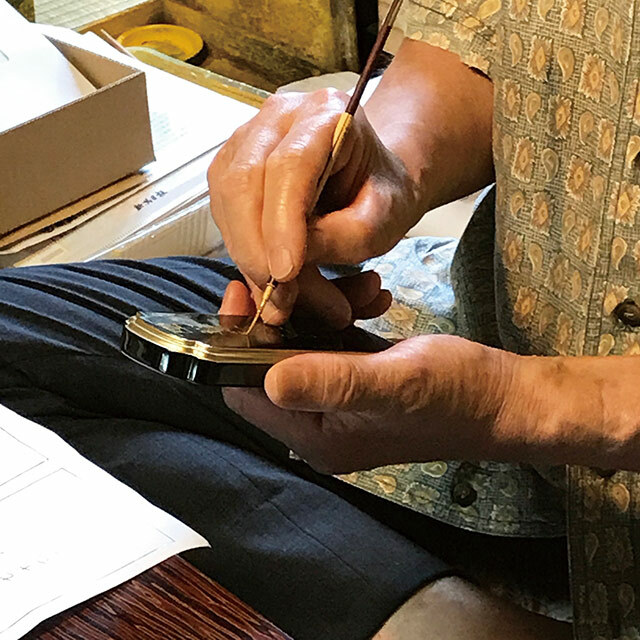 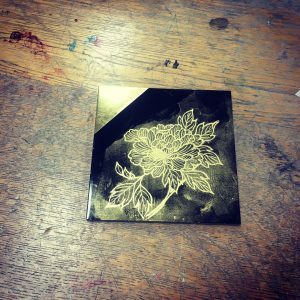 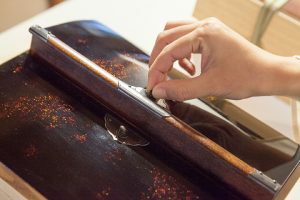 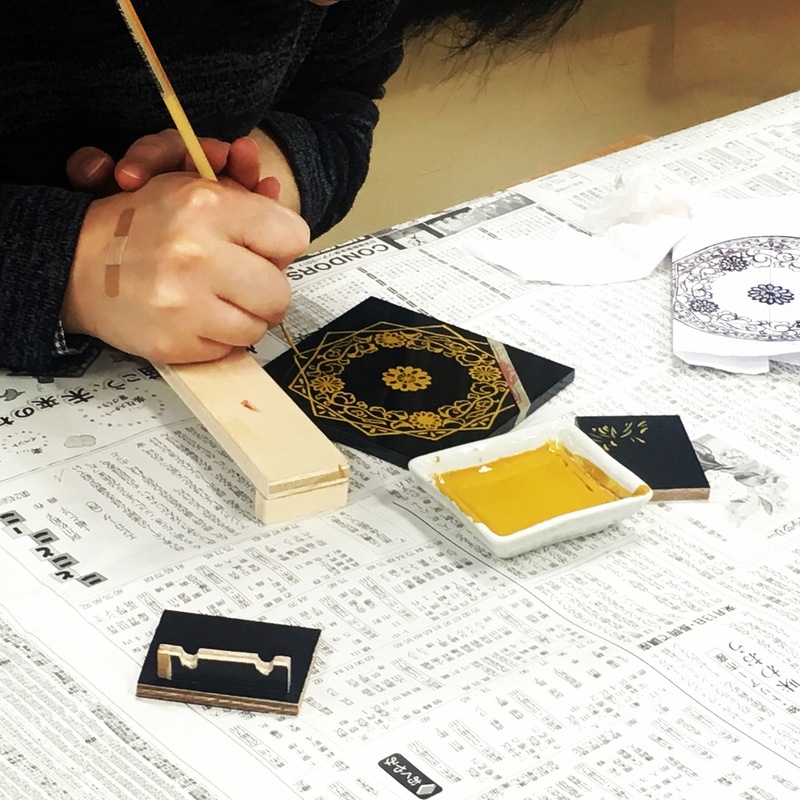 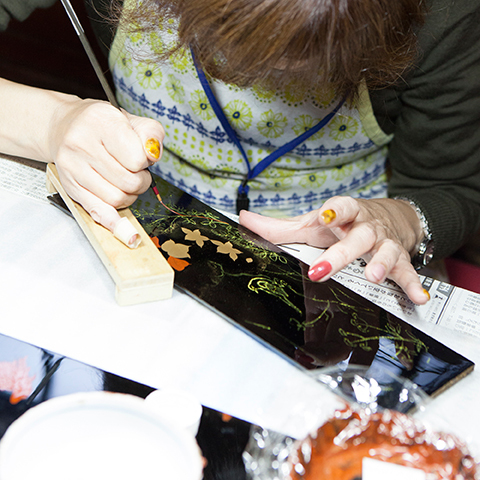 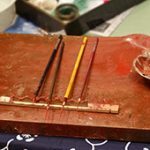 Niigata Butsudan Artisans demonstrated how to paint a picture with urushi, and then the participants painted on a small urushi square just like they had seen. 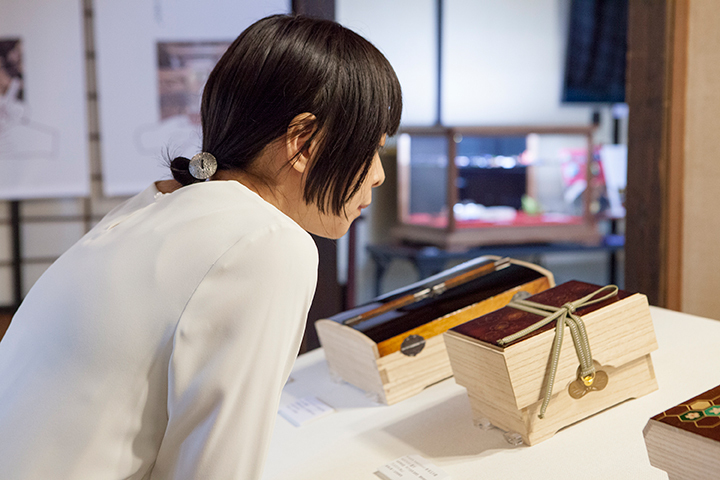 They plan to make practical products based on visitors’ voices. 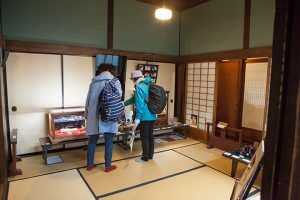 There were some important discoveries between kiri and urushi. Therefore they intend to apply the experiences to the new product. They will continue to offer flexibilities with clients’ wishes. 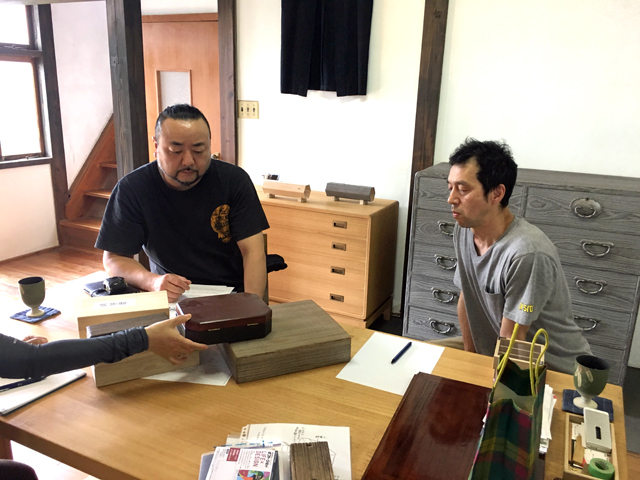 If you have further inquiries, please send your e-mail to info@takumicraft.com.